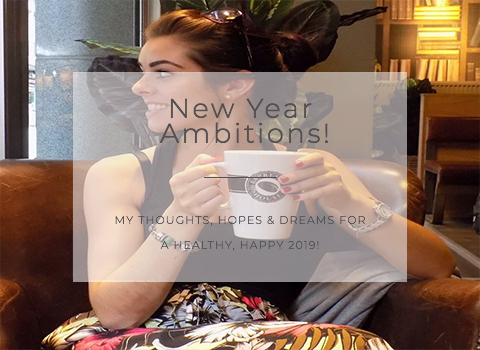 New year ambitions for 2019! The New Year is always a welcomed fresh start to most people. The reflection of the previous year and all it’s good & bad, and the desire, ambition, and excitement to achieve more for the coming year ahead. Most “New Year resolutions” however seem to stem from negativity. They are created around things we dislike about ourselves such as we WILL loose weight, or start a new fitness regime X times per week, or stop eating all desserts etc. This year I’ve not made any New Year resolutions. Nor have I released a New Year fitness programme or talked about encouraging you to start doing more pilates for 2019 (but if you want to, click here!). If you really genuinely want to do something, if you have the passion for it, then you will do it. There is no point trying to commit to something that you don’t really enjoy in the first place. I think it’s great to want to better yourself but let’s be realistic and fair to ourselves! I start this year still on maternity leave, which is very unusual from my normal hustle and bustle of working life. So my first goal this year is “to continue to learn to be mum to my baby boy!”. I’m going to do the best that I can for him and try to be present in every moment with him. To not be constantly worrying about the future, or money, or work, or pleasing everyone else, or whatever else strains life brings, but to enjoy our precious time together. Time is already passing too FAR quickly with him! Since becoming “mum” 4 months ago life has changed more than I could ever imagine. It is THE most wonderful thing I think I will ever experience, but it is also the hardest. I led a VERY busy life before mum hood. I was always working (which I enjoy extensively before you sigh for me! ), I was always at the gym, or the ice rink, or out running, or walking my dog, or out with friends, etc etc. Not being able to do this as often as I like has been very frustrating mentally & physically. So once I establish “my new role” I’m going to make dedicated time to do more of “me” things and not feel guilty for taking this time out. Someone actually said to me the other day “you don’t need to go to the gym you don’t have any weight to loose”. Exercise to me is a lifestyle and a healthy living choice, not a chore! I do it because it keeps me healthy, fit, strong and feeling good! So whether its weights at the gym or pilates at home, I’m going to “be myself” more. 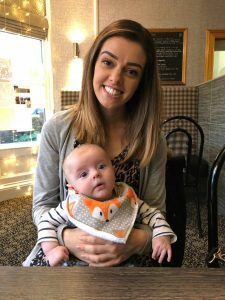 Working full time, running a business, keeping active, and socialising sometimes got a bit overwhelming in 2018! 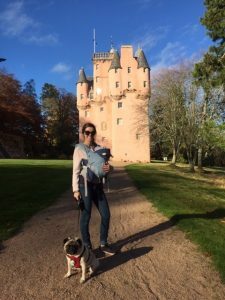 I could feel the stress levels rising when I had too much on my plate for any of these things and sometimes it made me work better, and sometimes I crumbled… Having now to juggle all these things AND adding an unpredictable, demanding baby to the mix I feel I’ve found a new level of stress! I normally relax by list writing, being organised, exercising, and simply just getting things done! Thankfully the baby’s adorable nature is slowly teaching me not to sweat the small things as much as I used to so I’m going to continue to focus on the deep breaths, the self-care, and the “not caring about the small things” attitude! Finally, there are a few small things that I will be trying to enforce on myself! Things I already do in small amounts or more sporadically and wish to continue working on; but since it’s New Year I guess you could call these my “resolutions”?! Drink 2-3L of water per day. I use my HydrateM8 water bottle for this. Get my “5-a-day” fruit & veg (or more like 8-10 they say now!). I do this by making fruit smoothies for breakfast to get a head start to the day! Use my cookbooks more often! I have so many great recipe books but always complain I don’t have the time, or the ingredients! Read more. I’ve always been a bookworm and love a good book, but I’ve recently downloaded some alternative books like autobiographies of athlete’s, or factual books and can’t wait to get stuck in! Take more photos. I was gifted a brilliant camera a year or so back and have loved learning how to take “proper” photos and use professional editing software. Cue the “not enough time” excuse recently and I’ve not used the proper camera for a few months now. Take my time doing my house! We bought our first house about 18months ago and I knew exactly how I wanted things so I got it ship shape instantly (removal men, deliveries, painters, carpenters all arriving on moving day!! )… now my taste and ideas have developed. Rather than rush in to buy everything again in a day I’m going to really take my time and get my ideas to grow together. Visit more National Trust for Scotland locations! I know I’ve truly become an adult when I signed up to our NTS card late Summer of 2018! This was more a gift to the dog than anything else! He loves nothing better than walks in new locations with acres of land and scenery to explore! “Do more of what works for you rather than against you, spend more time cultivating a life that is supportive rather than one that is potentially destructive”. 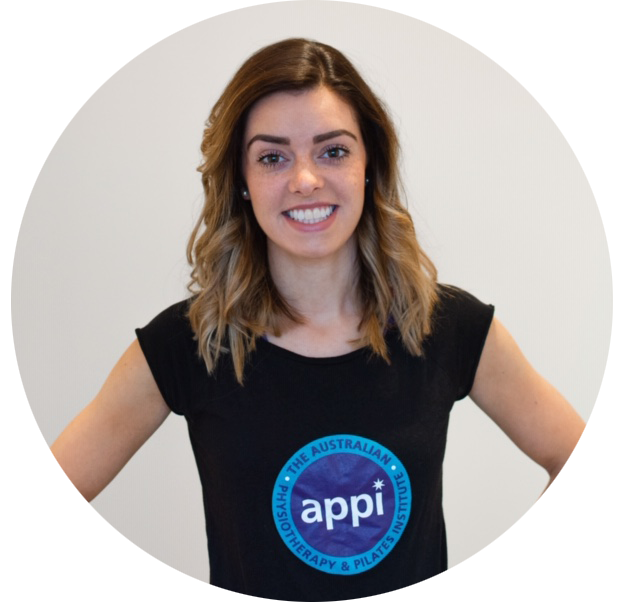 I’m Tracy Ward, an APPI Pilates instructor, APPI course presenter, and sports physiotherapist. 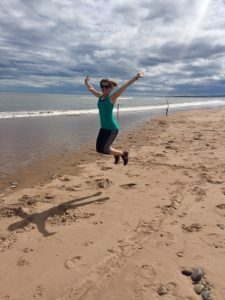 Blogging here about pilates, fitness, and leading a healthy lifestyle! Pilates & strength training: Why they are an essential combination, and how to get started! - Freshly Centered on My favourite moves!